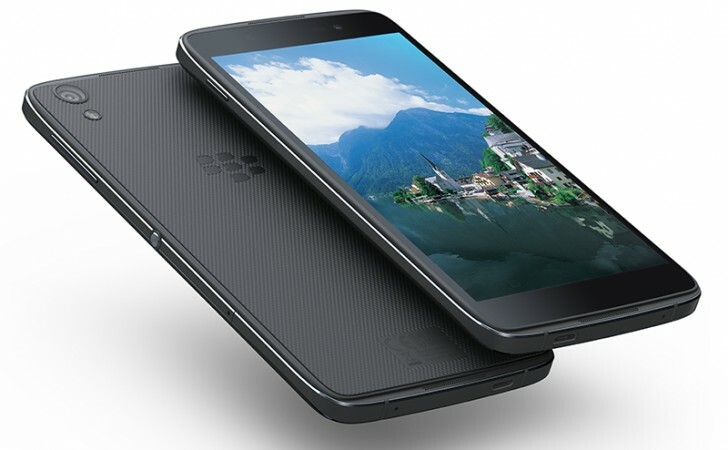 The BlackBerry DTEK50 is now available to purchase in the Netherlands. Three retailers have it in stock, one lists it at €339, the other 2 give a generous €4 discount. Meanwhile, the official BlackBerry online store still lists it for pre-order. Advertised by Blackberry as ‘the world’s most secure Android smartphone’, DTEK50 is a rebadged alcatel Idol 4 (€254 in the same stores in the Netherlands, but originally around €300), plus the security features the Canadian maker has baked in. On the hardware side, the DTEK50 features a 5.2-inch FullHD IPS display and is powered by the Snapdragon 617 chipset. There are 3GB of RAM on board, built-in storage is 16GB and a 13MP/8MP camera combo is in charge of capturing memories. The DTEK50 is BlackBerry’s second smartphone to run Android, after the high-end Priv marked BlackBerry adoption of Google’s OS over its own.